Hagerstown, Maryland-Robert Eugene VanLaningham, 89 of Hagerstown, MD passed away on Thursday March 21, 2019 at Meritus Medical Center in Hagerstown, MD. Born in Everett, WA on December 10, 1929, he was the son of the late Harold Leroy and Grace Elizabeth Oswald VanLaningham. He was preceded in death by his wife Elizabeth J. Wilhide VanLaningham in 2015. He retired in 1994 from National Concrete Masonry Association where he worked as an Engineer. He was a member of John Wesley United Methodist Church and the Lions Club both in Hagerstown. Robert demonstrated technical interests and proficiency early in life, graduating from the Baltimore Polytechnic Institute in 1948. He employed his analytical and technical skills as a Cryptographer in the Korean War and was a decorated Korean War Veteran. Later, he received both a Certificate in Civil Engineering (1961) and Bachelor of Science Degree in Engineering (1963) from Johns Hopkins University. He then furthered his education and broadened his skills with a Master’s Degree in Management from Frostburg State University in 1976. In his free time, he was an avid supporter of youth baseball and umpired several years for Federal Little League. 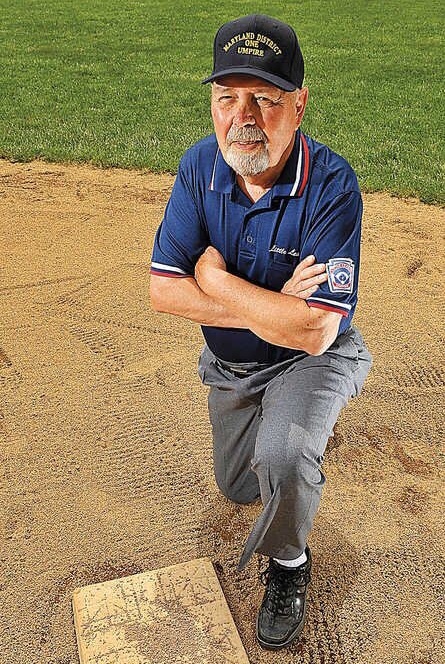 He was so devoted to the sport that he wrote a poem as a tribute to little league umpires for which he won an award. The poem is on display at the Federal Little League field. He is survived by his daughters Suzan Miller and husband William of Westminster, MD, Diane Croson and husband Michael of Idaho Falls, ID and Gayle Schreiber and husband Edward of Hagerstown, MD and his grandchildren Alexandra and Matthew Croson and Zachary, Zane and Zoe Schreiber. In lieu of flowers, charitable donations can be made to John Wesley United Methodist Church 129 N. Potomac St. Hagerstown, MD 21740 or Covenant Presbyterian Church 11833 Greenhill Dr. Hagerstown, MD 21742.